Does the existence of evil call into doubt the existence of God? Show me the argument. Philosophy starts with questions, but attempts at answers are just as important, and these answers require reasoned argument. 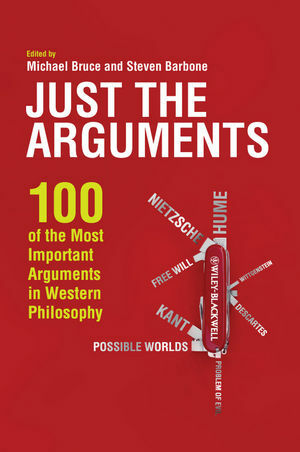 Cutting through dense philosophical prose, 100 famous and influential arguments are presented in their essence, with premises, conclusions and logical form plainly identified. Key quotations provide a sense of style and approach. Just the Arguments is an invaluable one-stop argument shop. Michael Bruce currently researches in the history of philosophy. He has taught philosophy and mathematics courses at the University of Washington’s Robinson Center for Young Scholars. Steven Barbone is Associate Professor of Philosophy at San Diego State University.